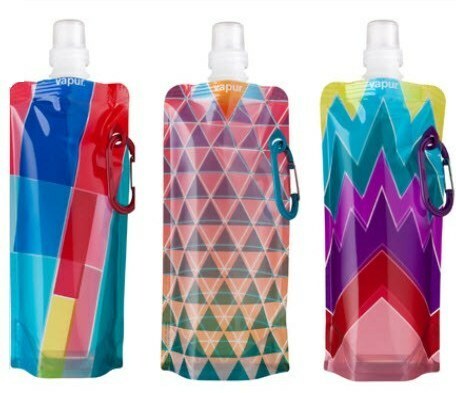 If there’s one school item that should stand out from the rest, it’s the drink bottle – kids on the go need plenty of water and we’ve got the lowdown on drink bottles that are designed for practicality and style. A name tag is a must on school drink bottles. 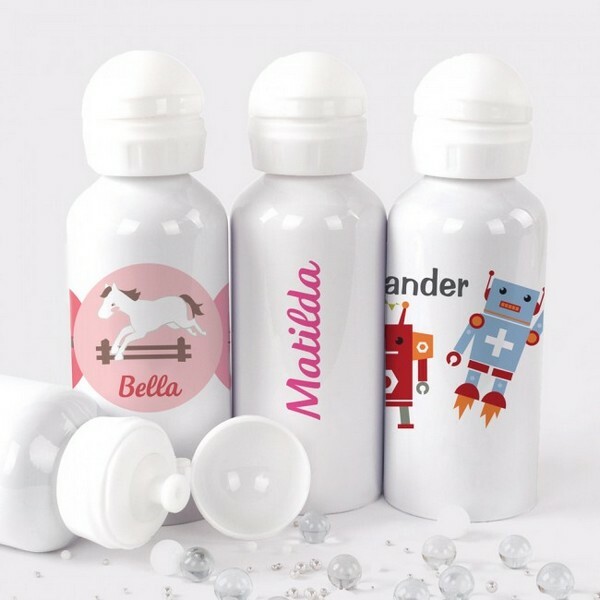 With the fabulous personalised range from Stuck on You, kids will always know which drink bottle is theirs. Made from BPA free, food grade stainless steel, the drink bottles are spill-proof and available in loads of different designs, from a pastel Parisian cityscape or delicious summery ice creams to BMX bandits and space explorers. Stuck on You personalised bottles are $24.95 each. Where did we get that nifty drink bottle? Why, it’s the Contigo from Where Did You Get That?! Sleek, strong and innovative, Contigo have a large range of water bottles, kids cups and travel mugs. 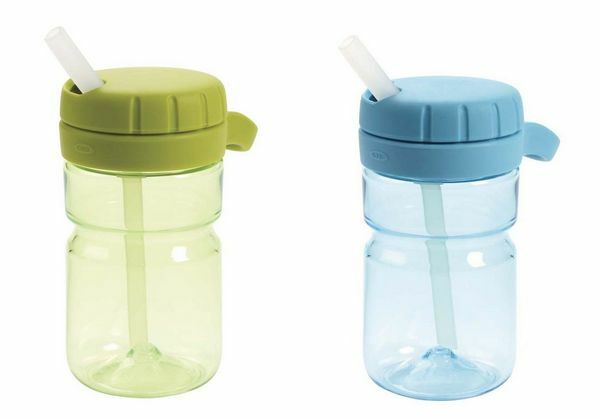 Priced at $11.95, the Contigo Kids Autoseal Drink Bottle is just right for kids who have outgrown sippy cups but haven’t outgrown spilling – press the button to sip and release to automatically seal – it’s spill and leak-proof, BPA-free and available in six colours including army green, lavender and sky blue. Is your child a ‘sipper’ rather than a ‘guzzler’? Then the OXO Tot Twist Top Water Bottle is just the ticket. A twist of the lid reveals a soft straw that is easy and comfortable to drink from – when they’ve had a drink, twist the lid closed to keep the straw clean and prevent spills. The large opening makes this bottle super-easy to fill and clean (and to add ice for an extra-cold drink). 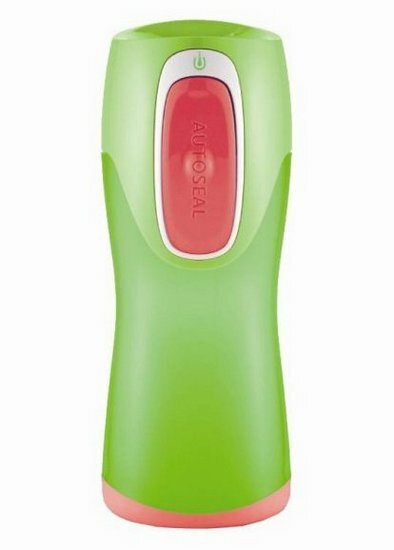 It’s made of BPA free materials, is dishwasher safe and is $8.99. 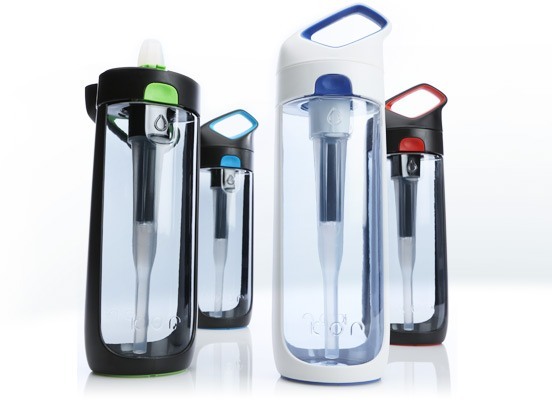 If you’re after a bottle that filters water on-the-go, the Nava bottle by KOR is just the thing. The Nava filters water as you sip, making it a fantastic eco-friendly alternative to bottled water. The bottle has a cap that opens with one click and it’s attached, so can never be lost. It’s US$29.95 and available online from KOR. For a giant thirst, the Camelbak range will cater. 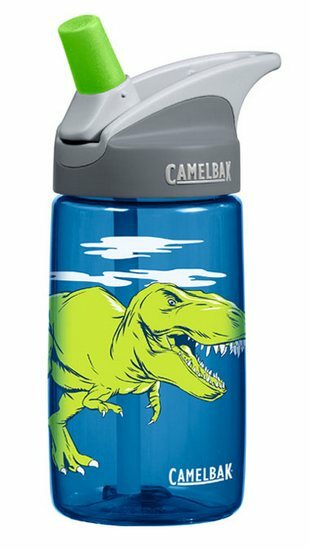 Camelbak bottles have signature ‘Big Bite Valves’ – a straw system that means bottles don’t need to be tipped – simply flip the opening, bite the straw and sip. All Cambelback components are dishwasher safe. Camelbak bottles are available online from Urbanbaby and are priced from $19.95. For the ultimate compact, go-anywhere water bottle, you can’t go past the Vapur. They roll, they fold, they can be flattened and they can be clipped to a school bag (very handy as the ‘spare’ to be kept with the school gear or in your handbag). 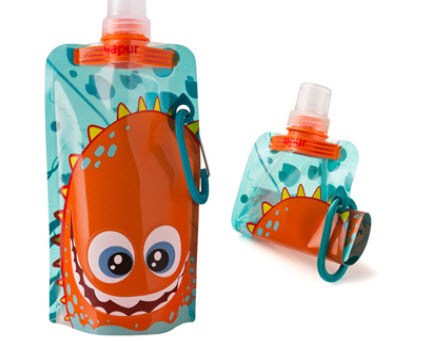 It’s hard not to love all the groovy patterns and designs, particularly the Quencher ‘bottles’ for kids, complete with stickers so that you can make your thirsty creature your own. Quenchers are $23.95 each.